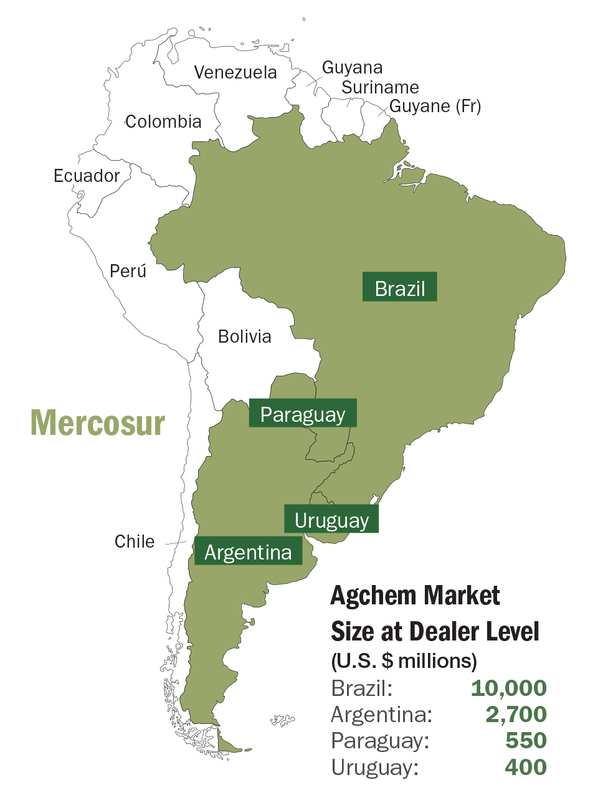 Whenever agchem players think of the South American markets, Brazil will be the one that comes to mind. It became the world’s largest agchem market a few years ago, but it is quite an elusive market to most players because obtaining technical-grade registration takes up to seven years. The second thing that comes to mind for those players who have contemplated a market entry into this region is risk. The region is known for unstable currency and high inflation rate. And for those in India and China, the long distance from home means not being able to keep a close eye on their business operations. Few, except for a small number of agchem players already operating there, understand the gem that Paraguay is. Not only is it a significant and growing market of $550 million at dealer level, but it is also a good conduit to the Mercosur trading bloc comprising Paraguay, Uruguay, Argentina, and Brazil. With a GDP of U.S. $3 trillion, the Mercosur bloc allows for free movement of goods, services, and factors of production, and is currently negotiating a trading deal with the European Union. 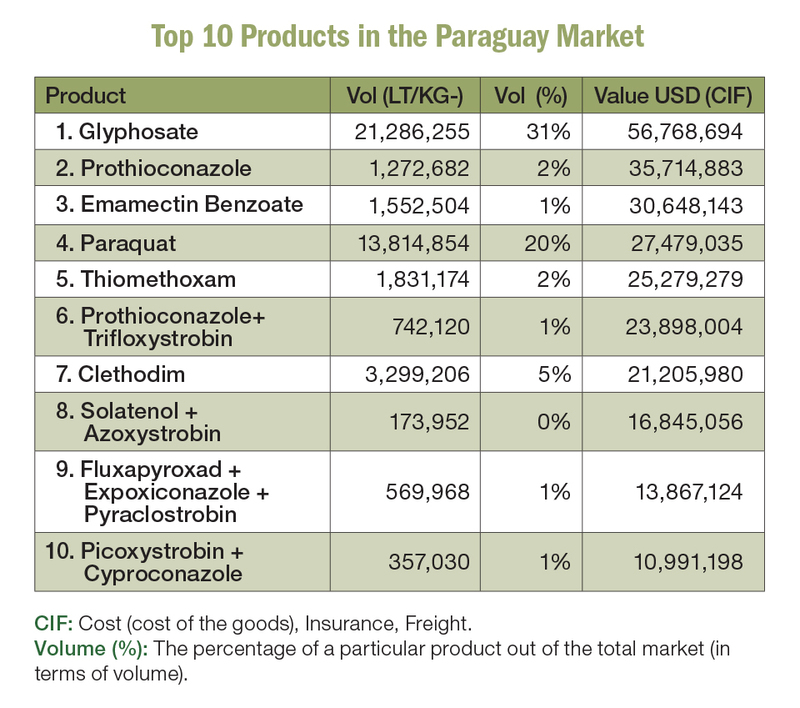 It has accorded Paraguay a special and more favorable trading position within the bloc. For instance, in terms of meeting local content of given goods produced in order to move the goods across borders within the bloc duty-free, Paraguay-made goods need to have just 40% local content while those made in the other member countries need 50% to 60%. Paraguay is truly an oasis of political and economic calm within not just the Mercosur trading bloc but also the entire South American region. Unlike the other countries, its currency and inflation rate have been relatively stable. Business transactions can be done in U.S. dollars, leading to little or no foreign exchange exposure. Average GDP growth rate over the past 11 years has been hovering at a commendable 4.8%. Tax rates, be that of personal, corporate, or imports, are much lower than those in the other Mercosur member countries. 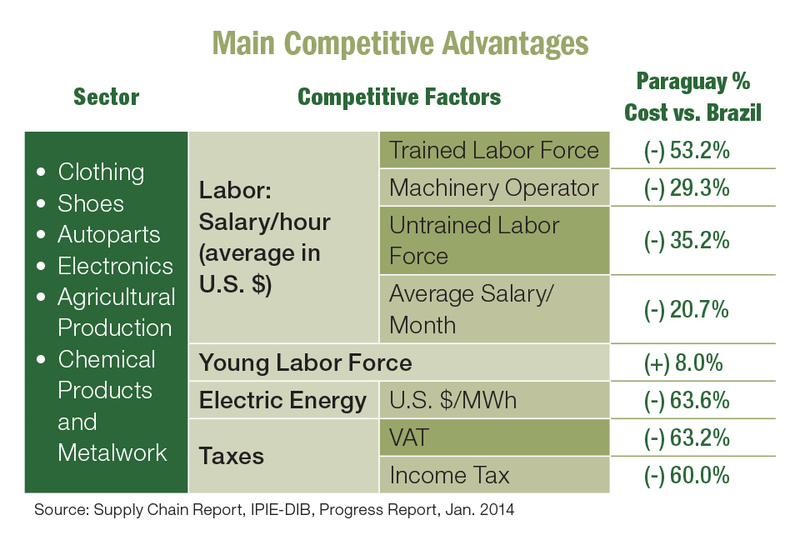 Cost of labor and energy are much lower than those in other member countries as well. Specific to agchem, technical grade products and raw materials enter Paraguay duty-free, unlike those shipped into Brazil and Argentina, which could incur import duties up to as much as 14%. For manufactured or formulated products from Paraguay to enter the other Mercosur member countries duty-free, either one of these two criteria needs to be met; (1) the material imported into Paraguay must be transformed, resulting in a different tariff code, or (2) 60% of the cost of the goods is of Mercosur origin. An example of condition (1) would be an imported technical grade product being formulated into an end-use product. However, the conditions mentioned above do not apply to an exclusion list of products that are made within the Mercosur. The products in this list are glyphosate, 2,4-D, paraquat, atrazine, and cypermethrin. All products in this list are subject to cross-border duties unless they meet both the above criteria, but the second criterion is almost impossible to meet. 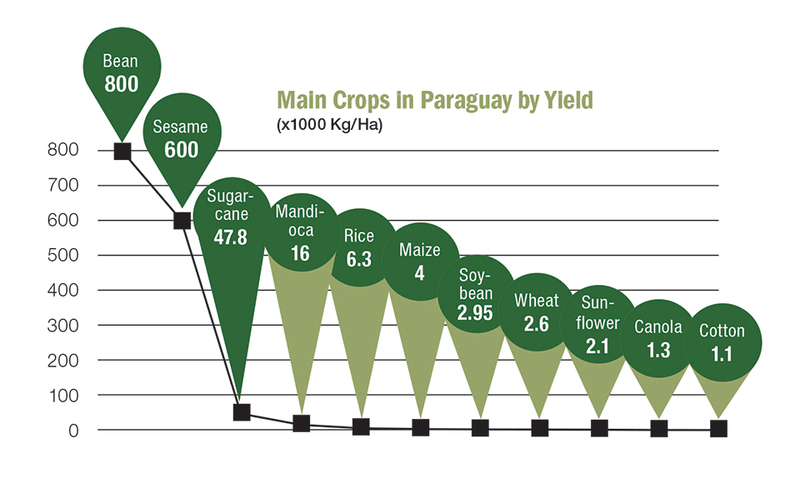 With China’s recent major disruption in generic agchem production and supplies, Paraguay, with its very favorable investment climate and political-economic stability, could be a good location for the production of some technical grade products for not only the local market but the whole region as well. The expertise and facilities are, in fact, already in place in at least a couple of the formulating plants operating there. It’s all a matter of production economics. With costs rising in China and more acute production disruptions in the near future for both key intermediates and technicals, the swing is toward it being cost-efficient to produce technicals in Paraguay. This bodes well for those players who want to have a more efficient and profitable operation in the South American markets. If the ongoing tariff war between the U.S. and China remains unresolved over the next two years, this potential technical production base in Paraguay could become even more attractive. Products made there could be supplied into the U.S. market without the high tariff imposed on the Chinese-made ones. Paraguay is a unique country in South America in that it has a very favorable investment climate with stable currency and relatively low inflation rate. It offers investors cost-effective opportunities to tap into — not only the local market but those within the Mercosur bloc as well. It is indeed an unknown gem for agchem players contemplating an entry into South America. For Chinese version of this article, please click HERE to read. © 2016. PACIFIC AGRISCIENCE PTE LTD ALL Rights Reserved.